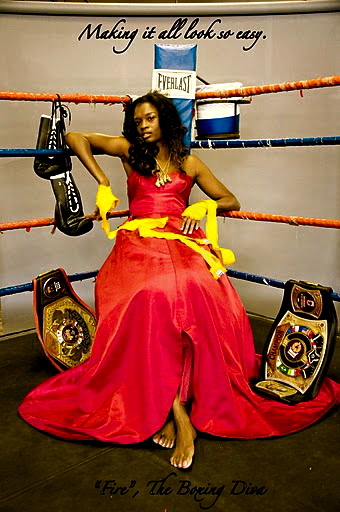 Exclusive Interview with Keisher “Fire” McLeod Wells ahead of her 2/21/13 fight! 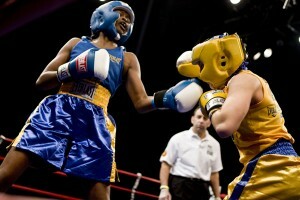 Keisher McLeod Wells defeated Jacqui Park in their 6-round super flyweight bout by unanimous decision. The judges scored the fight 59-55, 58-56 and 58-56. Fire is now 6-2! Jacqui Park is 1-1. 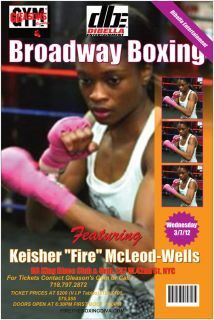 Gleason’s own four-time New York Golden Gloves champion and professional boxer Keisher “Fire” McLeod Wells (5-2, 1-KO) will be boxing again on DiBella Entertainment’s Broadway Boxing card this coming Thursday, February 21st at the world-renowned Roseland Ballroom in the heart of New York City. 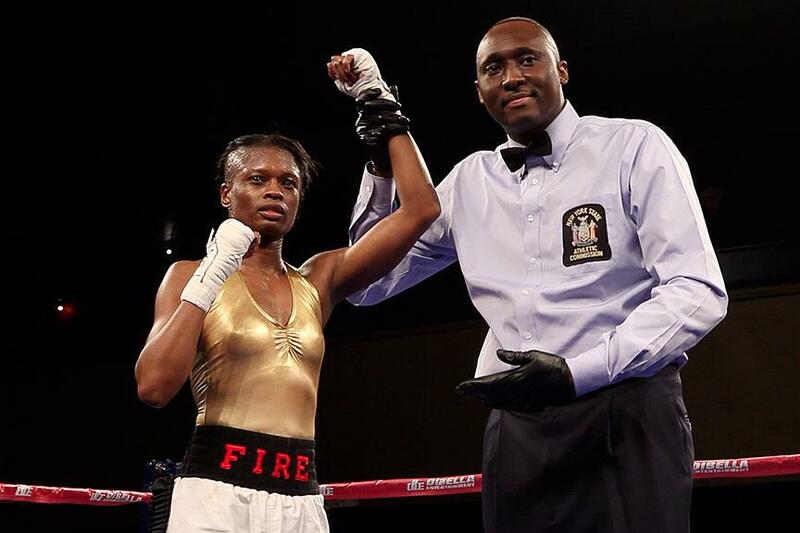 Fire will be facing a former four-time Canadian National Amateur champion, 36-year-old, Jaqueline Park (1-0) in a six-round super flyweight showdown. This will be Fire’s first fight since her controversal split-decision against Patricia Alcivar. She forcefully disputes the knockdown call at the end of the 6th round–and in viewing the tape, you’d have to say it did look like a slip. 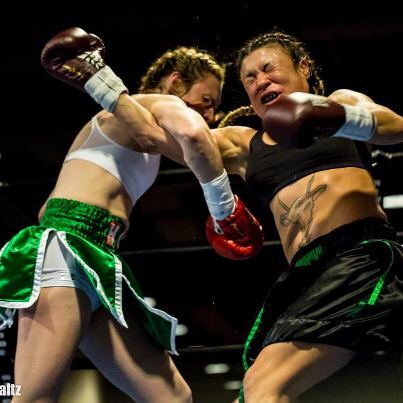 As for fighter Jacqueline Park, her four-round debut professional fight resulted in a unanimous decision over Amanda Beaudin back in September. Tickets are still available for the Ring of Fire event ranging from $45.00 – $125.00. 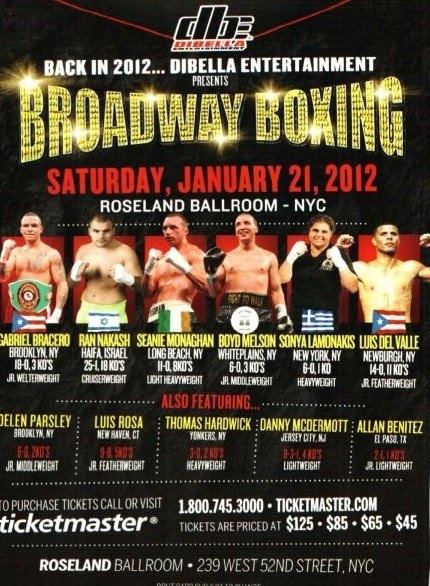 Contract Gleason’s Gym (212) 787-2872 to purchase tickets. Girlboxing had a chance to pose some Q & A to Fire ahead of upcoming bout, this is what she had to say. 1. You’ve got a fight coming up on February 21, 2013 on a DiBella Entertainment, Broadway Boxing Card at Roseland Ballroom in New York City. 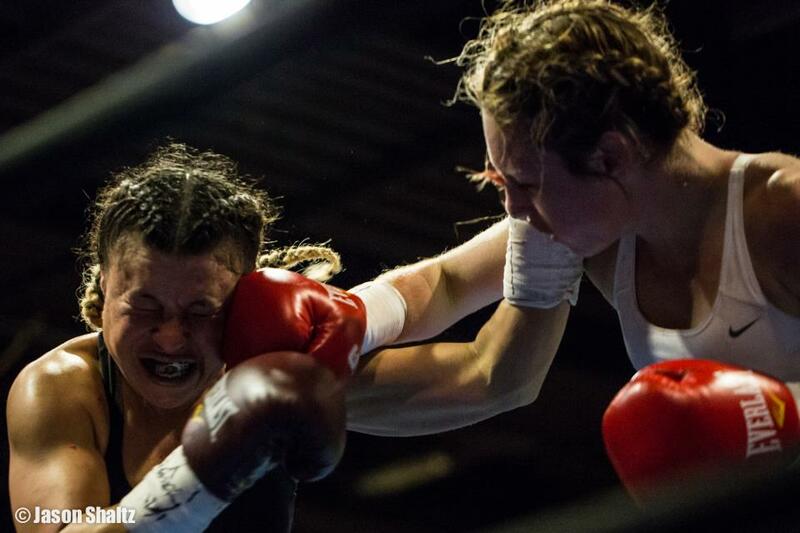 What can you tell Girlboxing readers about your 6-round fight against Canadian national amateur champion Jacqueline Park? 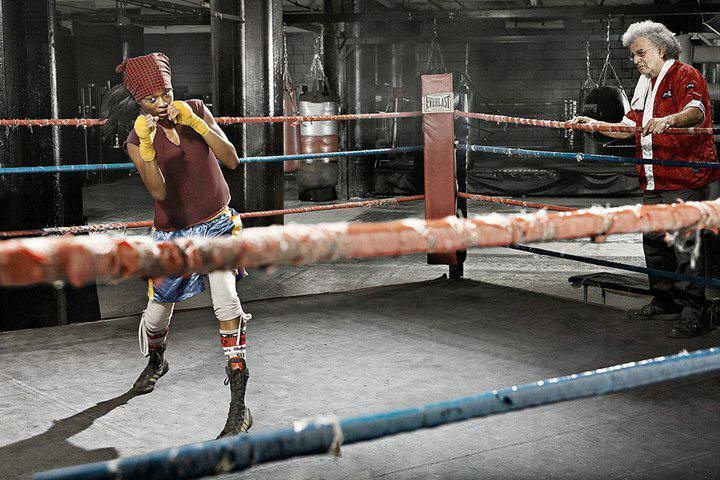 I don’t know much about her but I know she has a boxer style like my style. I’ve heard good things about her amateur career and that’s what I like to hear. I want to fight good fighters. That’s the only way I get better. It will be interesting to fight someone with a similar style to mine as opposed to the normal and obvious, my opponents usually comes straight forward non stop. 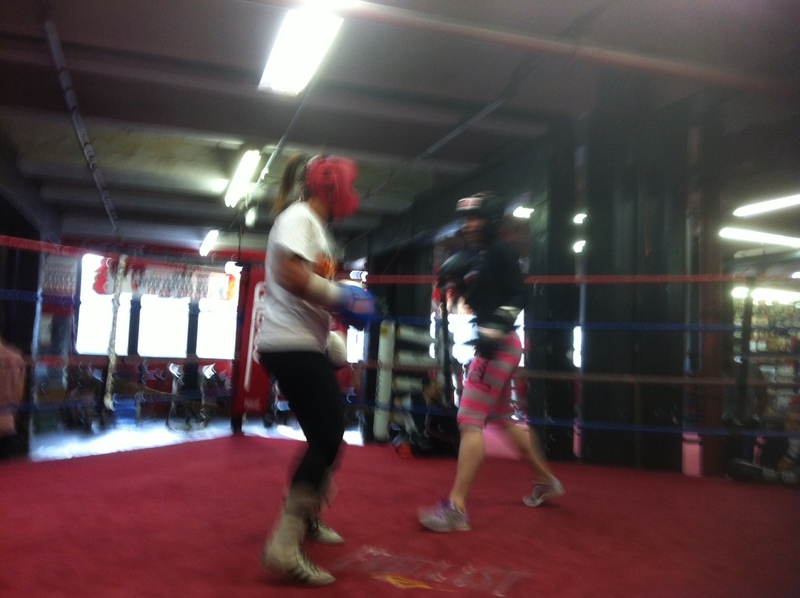 I’m used to fighting brawlers and I’ve learned how to deal with them, so I’m excited to box a boxer. However, I won’t be surprised if she changes her style to brawler though because I’m taller. I’m prepared to take on both styles. 2. The bout is being dedicated to your sister, Bronique, who was a recent innocent victim of gun violence. 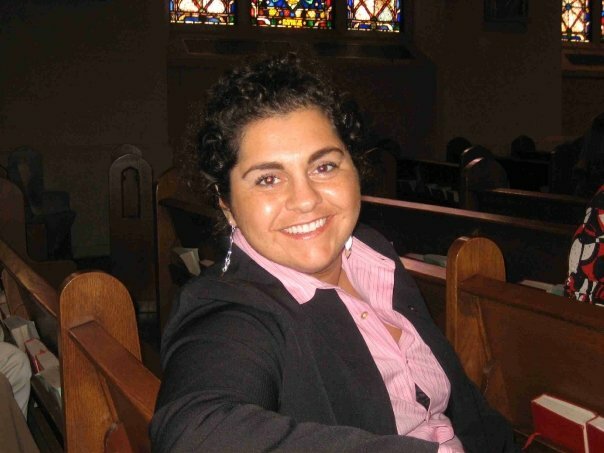 What do you hope to tell the world about your sister–and the cause of ending gun violence? My sister was a very gentle and kindhearted individual. She was a great single mother of two young kids. She would come to my fights with support. She loved bragging about me to her friends about being a younger sister to a professional boxer. I am going to miss seeing her face in the audience cheering me on. This fight is being dedicated in her memory on my behalf. This will be my first fight since her death. I took some time off after her passing to cope with the lost of her with my family. This was the first loss my family has experienced, so it hit us really hard. What was more tragic is the way we lost her. Gun violence is so out of control. Using this fight in her memory with my popularity to the sport in NY, I’m hoping to bring more awareness in ending gun violence. 3. It’s been 11 months since your last outing. 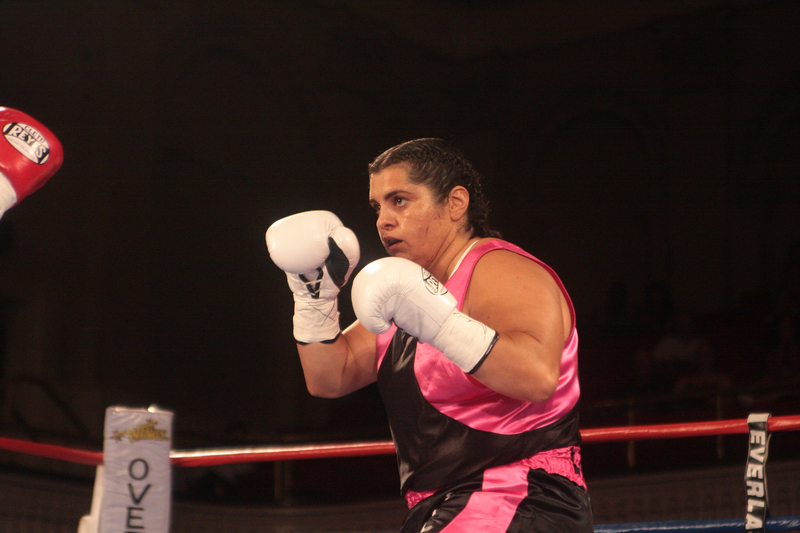 You fought against Patricia “Boom Boom” Alcivar, in a tough battle that saw you knock her down in the 3rd and take a shot that was ruled a knock down in the 6th. Still you were triumphant with the judges giving you a split decision win, 57-55 x 2 and 55-57. What have you learned from that fight and what sort of adjustments in your game plan are you making as you head into head into the ring on the 21st? First, I would like to say I never took a shot from her that landed me on the canvas. I slipped after dodging an unsuccessful punch that never landed by her. You can clearly see that after they replayed it in slow motion. Even the commentaries said it wasn’t a knock down. I was so confused when they started counting. That wasn’t the first time slipping in the ring for me in my boxing career. I can get a little wobbly and clumsy sometimes, but I never been counted out for that in the past. I was upset. I felt I won unanimously regardless of the 8 count. I fought tougher fights giving me unanimous decisions. So I couldn’t understand the split decision. The only adjustment I have for any fight after the one with Patricia Alcivar, is to try not to slip again. I’ve been working a lot on leg strength this time around. So hopefully I’m done with the wobbly legs. 4. In an article that ran in the New York Times about you two years ago, in answer to a question about how the money side of the fight game doesn’t offer much to women, you said, “I think that’s why we fight harder, because we do this for the love of the sport. 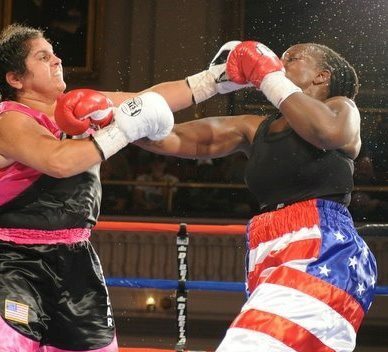 There’s no money really to be made.” After all of the hoopla about women boxing for the first time in the 2012 Olympic Games do you see any changes or an opening up of opportunities for female boxers? I’ve notice more females making a name for them in the sport. We are getting more exposure. I’m not sure if I would give the credit to 2012 Olympic Games. Promoters here in New York haven’t changed since the games. Maybe it has elsewhere. All I know is that we are still getting paid the same here. 5. You’re a Golden Gloves Champion four times over as an amateur and bring a 5-2 record coming into your next professional fight. What can you tell up-and-coming fighters about the difference between fighting in the amateurs and fighting as a professional boxer? The obvious difference is that professional fighters get paid, the headgear comes off and the gloves are smaller. The rounds become longer as well. Fights are more far in between too. However, I feel the reward is greater at the end because you are training for a war that is more brutal than amateur boxing. The training is more intense and so is the fight itself. There is a lot harder punches to be felt and give without the protection amateur boxing gives. 6. Your other love besides boxing is fashion. You’ve also started a jewelry line with wonderful creations that are beginning to adorn half the women in Brooklyn–or so it seems. How are you managing to fit your two love together: boxing and jewelry making? Being a jewelry designer is what soothes my mind in between fights and training. Each piece I make is from my mind and heart. They’re unique one of kind pieces. It’s wearable art. I get in a zone when I paint (my jewelry). So when my mind and body is tired from training, I relax it by making jewelry. Also, I get a lot of down time when I’m working at Gleason’s on Sundays. So I create here sometimes while I’m here. Some are my items are boxing related, so I find inspiration from Gleason’s. 7. Where do you see yourself going from here, Fire? I would love to be some kind of TV personality or something in that nature relating to boxing after I decide I don’t want to compete any longer. I never look ahead in the future. I live my life pretty much from week to week. If I had children then I probably would have more sight of my future. Probably a bit irresponsible, but that is the way I’ve always lived my life. I am aiming for a World Title in the near future though, however it comes. 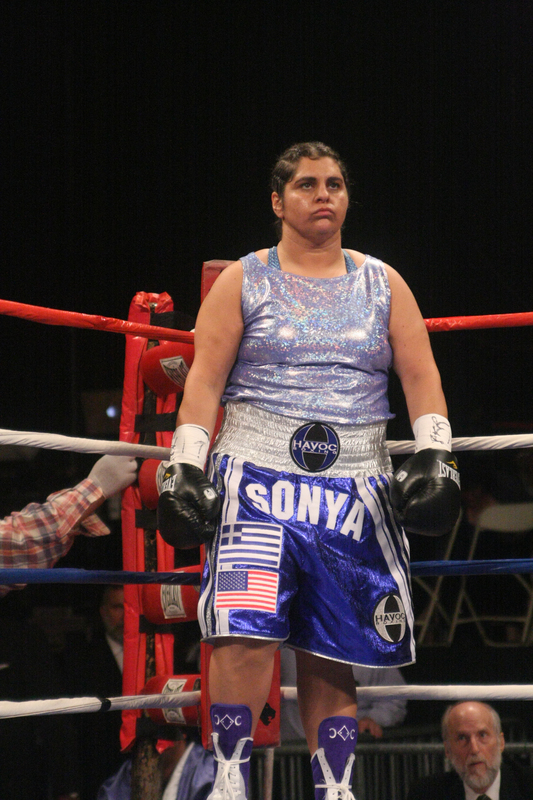 Sonya Lamonakis: Working to make it a lucky 7! 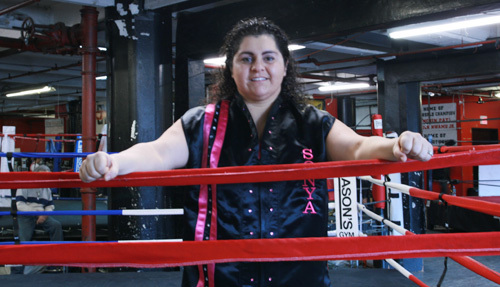 Girlboxing had the chance to interview Sonya Lamonakis (6-0, 1-KO) ahead of her upcoming heavyweight bout on January 21st, 2012 against Carlette Ewell (15-7, 9-KO’s) at the storied Roseland Ballroom in New York City. The fight is being promoted by DiBella Entertainment as part of the Broadway Boxing series. 1. Tell us about your upcoming six-round fight against Carlette “The Truth” Ewell on January 21st at the infamous Roseland Ballroom in the heart of New York City. I’ve been asking her to fight for a year and she finally accepted….this will be our first one and then our next fight will be for a title win or lose. It’s going to be a great fight we both have a lot of experience and have been training hard for this fight. Many of my fights have stolen the show and this might just be another one of the barn yard burners. 2. You’ve had six successful outings since your debut as a pro in June 2010 — having most recently defeated Tiffany Woodard in August 2011. 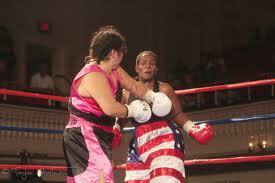 Ewell on the other hand has a 15-7 record with 9-KOs since her pro career started in 2002. How are you preparing to meet the challenge of such a tough, seasoned opponent. I had an amateur career and she didn’t so I’m hoping my thirty fights as an amateur and six pro fights will carry me to victory. I’m preparing by training excessively and after studying her video of her last fight I have been working on what needs to be done to get the win. 3. 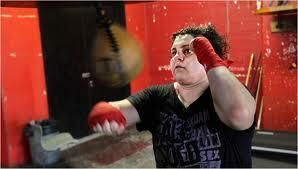 Ewell also has an upcoming fight on the books for the UBC Heavyweight Title against Gwendolyn O’Neil. What sort of message do you want to send to both of them in your January 21st bout against Ewell. I didn’t even know about that. Gwendolyn I see in Gleason’s and have asked her to fight me many times but she told me she is not fighting heavyweight anymore. Female heavyweights blossom late in life and I feel they are both on their way out and there is going to be a new queen of the heavyweights. 4. There’s been a fair amount of trash talk thrown your way in the run up to your battle against Ewell. What is your reaction to all of that? Yes, I have read her comments about what she has been saying and I feel fighters that are scared or intimidated talk trash. I have never been a trash talker I’m not that type of athlete. I save it all for the ring. I would rather be a positive example for my students and look like a classy athlete more than one that trash talks. I have been fighting for 9 years and it’s just not me. I have never been a trash talker. For her to say that I lost all my fights and they were just handed me is pretty rude to me. Especially, being that she has not been at one of my fights and two out of the three were not on tv either. But it’s ok. Some people talk trash to make themselves feel better. It feeds their ego and helps them survive. So carry on Ewell. I’ll see you in the ring. 5. What adjustments are you making in the gym as you prepare for this fight and beyond? I have been working on lowering my height, moving my head, and working angles to improve as a fighter for this fight and the future. 6. You recently had a powerful video interview published as part of Yahoo’s online “Power Your Future” series. What can you tell us about that? That was a great video. I was proud to show off my school and both of my careers in one. My students were very happy to be a part of my boxing career. I think I’m a special fighter because I have two careers as a fighter and an educator. To be a role model to children is a gift in itself. 7. For those who do not know, you teach technology to K-5th graders at a public school in Harlem. You’ve been quoted as saying, “I’m an educator before I’m a fighter.” Even given that sentiment, you bring your “all” into the gym and into your “game” on fight night. What inspires you to bring so much of yourself to what you do? I’m a passionate person. I play hard, live hard, and love hard. Teaching is not a job but a passion. I hope to inspire children to be life long learners and instill the value of education in them. My inspiration comes from the joy I receive when I’m with my students currently, and past students that come back to let me know the difference I made in their lives. 8. Having watched you work out in the gym, I’ve no doubt that you still have a lot more to accomplish in the sport, what are your goals and dreams? I want to be a World Champion holding many titles. I also enjoy educating people about the sport of boxing. The determination it takes and the will and drive you must have. One part of boxing that’s important for me is that you must have something to fall back on because you can’t rely on boxing forever. 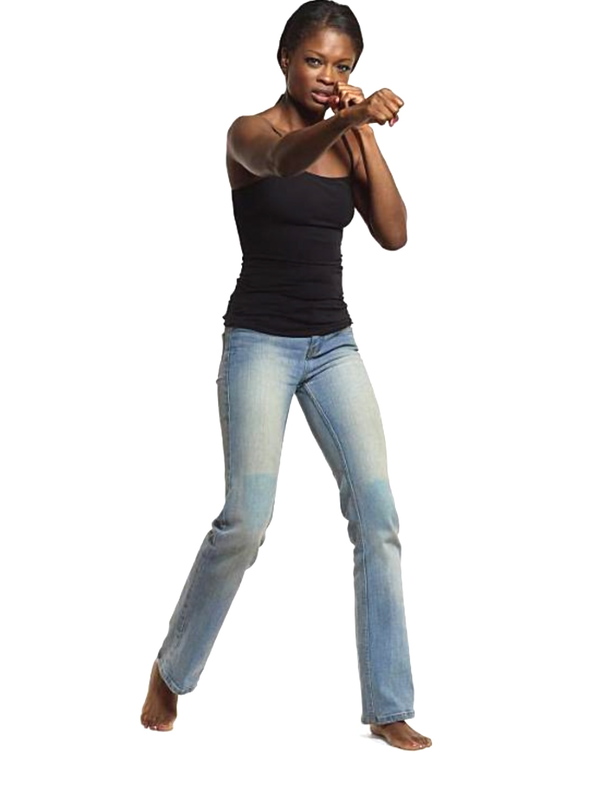 You’re an active fighter for a short period but your work time expands beyond that. Only a small percentage of fighters make enough money to live off of. It’s important to have a back up plan, something that you can count on if the fight game doesn’t work out. 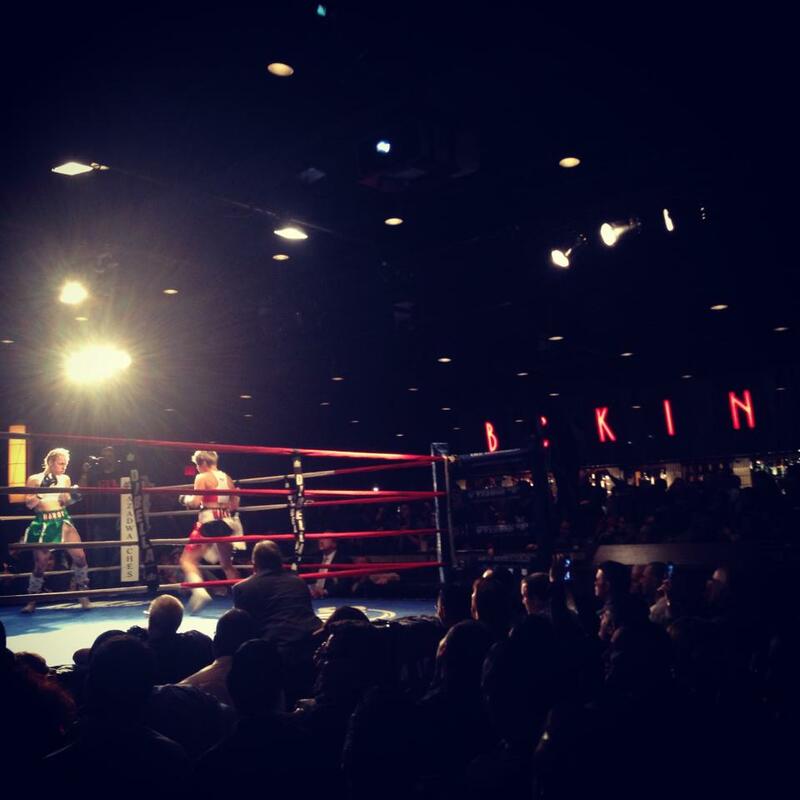 Tickets are available for what will be an EXCITING night of boxing priced at $45 and $65. Ringside tickets are available upon request at $125. 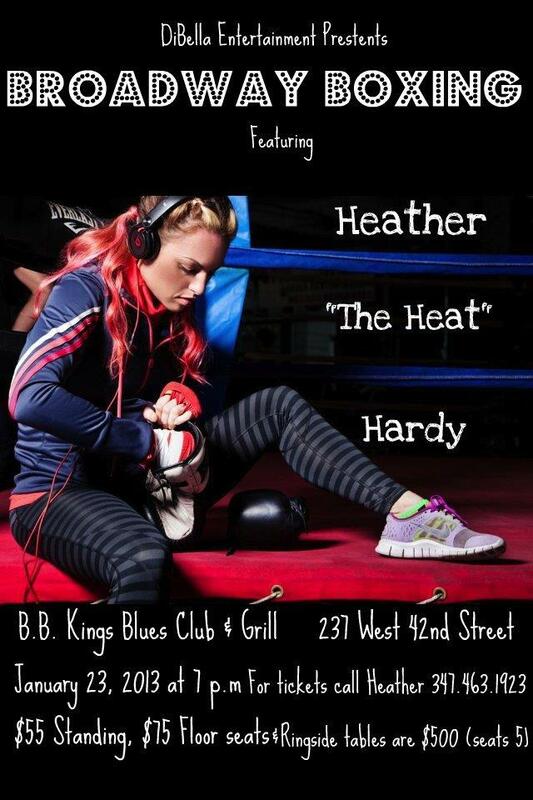 Contact Gleason’s at 718 797 2872 or info@gleasonsgym.net if you want tickets.